Vancouver, Aug 24 (IANS) An Indo-Canadian businessman, who is originally from Bhuj, Gujarat, has been awarded $1.2 million in damages after he was defamed in a series of fake news articles instigated by a prominent American blockchain investor. It is one of the biggest compensations of its kind in Canada. Vancouver-based Altaf Nazerali had sued Patrick Byrne, CEO of online retailer Overstock.com, for a campaign of lies aimed to tarnish the reputation of the NRI businessman. Last week, the Supreme Court of Canada rejected Byrne’s appeal against $1.2 million granted to the NRI businessman by the Supreme Court of British Columbia in 2016. The huge compensation for Nazerali comes after a seven-year legal battle to clear his name after a series of articles published in 2011, on an American website DeepCapture.com tried to depict the NRI businessman as a drug trafficker, arms dealer and gangster and a financial supporter of al-Qaida. The articles tried to show that he had links to Russian and Italian mafias. The articles were written by Mark Mitchell and published on the website – owned and published by Byrne- which reports on criminal financial conspiracies. 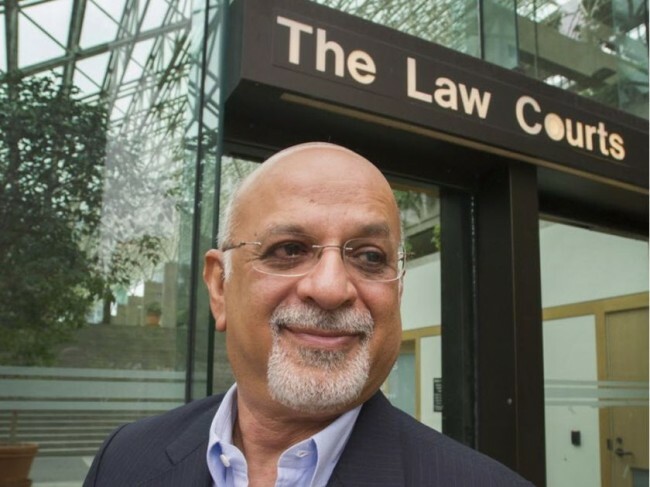 In its 2016 judgment in favour of the NRI business, Justice Kenneth Affleck of Vancouver-based British Columbia Supreme Court had said: “Mitchell, Byrne and Deep Capture LLC engaged in a calculated and ruthless campaign to inflict as much damage on Nazerali’s reputation as they could achieve. The American blockchain investor challenged the judgment in the Supreme Court of Canada which last week threw it out.